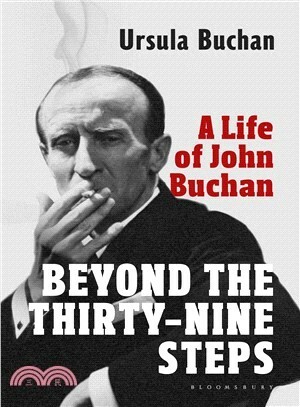 An illuminating biography tracing the extraordinary life and times of John Buchan, the man who gave form to the modern thriller. Yet there was vastly more to 'JB'. He wrote more than a hundred books, fiction and non-fiction and about a thousand articles for newspapers and magazines. He was a scholar, antiquarian, barrister, colonial administrator, journal editor, literary critic, publisher, war correspondent, director of wartime propaganda, member of parliament and imperial proconsul--given a state funeral when he died, a deeply admired and loved Governor-General of Canada. His teenage years in Glasgow's Gorbals, where his father was the Free Church minister, contributed to his ease with shepherds and ambassadors, fur-trappers and prime ministers. His improbable marriage to a member of the aristocratic Grosvenor family means that this account of his life is, at its heart, an enduring love story. Ursula Buchan, his granddaughter, has drawn on recently discovered family documents to write this comprehensive and illuminating biography. With perception, style, wit, and a penetratingly clear eye, she brings vividly to life this remarkable man and his times. Ursula Buchan studied modern history at New Hall, Cambridge, and horticulture at the Royal Botanic Gardens, Kew. She is an award-winning journalist and author, having written eighteen books and contributed regularly to the Spectator, Observer, Independent, Sunday Telegraph, Daily Telegraph and The Garden. She is a daughter of John Buchan's second son, William.